MOSUL: Islamic State group chief Abu Bakr al-Baghdadi is reported to have abandoned Mosul, leaving local commanders behind to lead the battle against Iraqi forces advancing in the city. "He was in Mosul at some point before the offensive.... He left before we isolated Mosul and Tal Afar," a town to the west, the official said. "He probably gave broad strategic guidance and has left it to battlefield commanders." 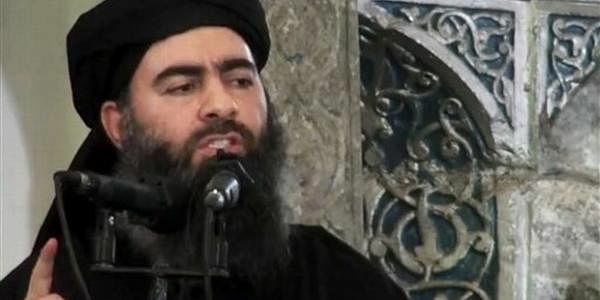 Baghdadi, who declared IS's cross-border "caliphate" at a Mosul mosque in 2014, in an audio message in November urged supporters to make a stand in the city rather than "retreating in shame". Iraq launched the offensive to retake Mosul -- which involves tens of thousands of soldiers, police and allied militia fighters -- in October. After recapturing its eastern side, the forces set their sights on the city's smaller but more densely populated west. The military said on Wednesday that they had also taken the infamous Badush prison northwest of Mosul where IS reportedly executed hundreds of people and held captured Yazidi women. On Thursday Iraqi forces were "combing the city centre area to defuse (bombs in) homes and shops and buildings," Lieutenant Colonel Abdulamir al-Mohammedawi of Iraq's elite Rapid Response Division told AFP. Forces were also "searching for snipers in the city centre," Mohammedawi said. The area is located on the edge of Mosul's Old City, a warren of narrow streets and closely spaced houses that could see some of the toughest fighting of the battle. "Currently there is no order from the operations command to advance toward the Old City. We will advance when this order is issued," Mohammedawi said. "We were used as human shields," said Abdulrazzaq Ahmed, a 25-year-old civil servant, who escaped along with hundreds of other civilians to Iraqi police waiting outside the city. "They ran away like chickens," he said. A US official said on Wednesday that a Marine Corps artillery battery had been sent into Syria to support the battle for Raqa -- joining some 500 American special operations fighters who have been training and assisting the SDF. Russian-backed government troops have meanwhile swept eastwards from Syria's second city Aleppo and seized a swathe of countryside from the jihadists. "They... are still making plans to continue to function as a pseudo-state centred in the Euphrates River valley," the official said. Even with the territory they control greatly reduced, the jihadists remain a major threat. At least 26 people were killed late on Wednesday when two suicide bombers attacked a celebration being held the night before a wedding north of Baghdad, Iraqi officials said. The bombings in the Al-Hajaj area, north of the city of Tikrit, also wounded 25 people. There was no immediate claim of responsibility for the attack, but IS carries out frequent suicide bombings targeting both civilians and members of the security forces in Iraq.